Ken Rappoport’s Tales from the North Carolina Tar Heels Locker Room is a compilation of the best notes, quotes, and anecdotes from North Carolina lore. Meet a coach nicknamed “Bloody Neck,” a player called “The Blind Bomber,” and a team known as the “White Phantoms.” And, of course, there is the extraordinary Michael Jordan. 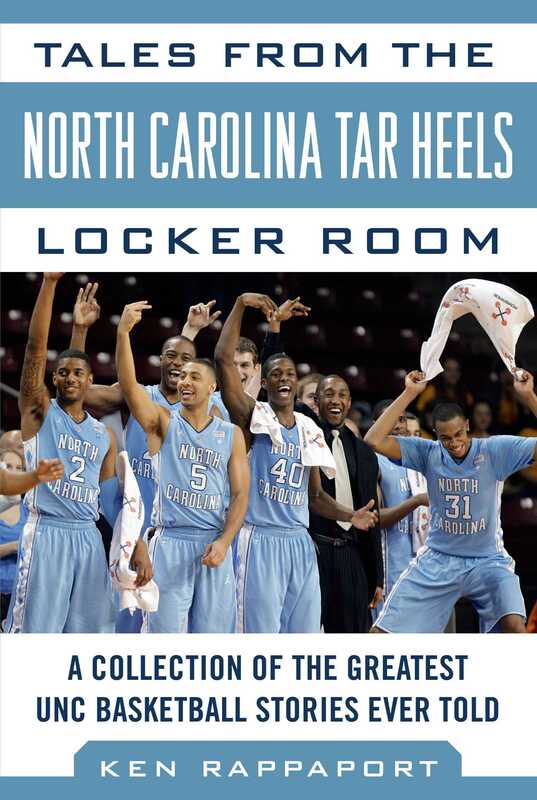 Tales from the North Carolina Tar Heels Locker Room captures the anecdotes and memories that have defined this team from the early twentieth century up through their incredible success in the 2000s and beyond. A must-have for any Tar Heels fan!